Quality pearls can be very durable, but proper care is required to keep them beautiful and lustrous.When caring for your pearls, there are several important things to remember. as it can discolor the pearls) before putting them away. Periodically wash pearls with mild, detergent-free soap and a soft cloth. After washing, rinse the pearls in clean water and wrap them in a thin, damp cotton towel to dry. If pearls are especially dirty, wipe them with acetone polish remover. Acetone will not hurt pearls, BUT do not use jewelry cleaners containing ammonia or vinegar. Pearls should always be stored separately from other jewelry as it may scratch or mar the pearls’ surface.Take the time to wrap the pearls in linen, soft cloth, or place them in a soft pouch.Pearls require moisture – do not store pearls in a plastic bag or other airtight package.An excessively dry environment may result in cracking. If placing the pearls in a safety deposit box or in an especially hot environment, leave a damp cloth nearby. Always keep pearls away from substances that will damage the pearls surface like chlorine bleach, vinegar, ammonia, hairspray, perfume, and cosmetics. Put pearls on last after spraying perfume or hairspray and putting on makeup. Remove pearls before exercising to avoid perspiration. Restring pearls once a year if worn often. Have it professionally done and be sure to ask to have each pearl knotted separately (unless they are small), so they do not rub together and wear on the pearl nacre. in the jewelry marketplace and maintain the balance of nature. Culturing pearls began at the beginning of the 20th century, when several people invented the techniques required in order to cultivate pearls. By introducing a foreign object, such as a piece of tissue, or a mother-of-pearl bead, into the mollusk,farmers are able to create the pearl. The automatic reaction of the mollusks is to deposit layers of nacre (pearl) around the object, to stop it from irritating. Cultured pearls can be created in either freshwater or saltwater, and in different types of mollusks. as a result, freshwater pearls tend to be much smaller than saltwater pearls. 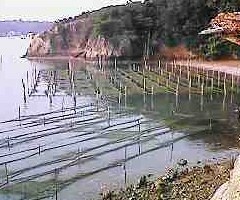 The technique for cultivating freshwater pearls is advantageous in that it allows any given mussel to produce twenty pearls or more within one year. much more rare, and consequently more expensive than their freshwater counterparts. Best known for producing cultured saltwater pearls are the countries: Tahiti, Indonesia, Burma, Thailand, the Philippines and Australia. The fact that ideal environmental conditions can frequently be provided, meaning it takes a much shorter amount of time for a pearl to be formed at a farm, is just one of the advantages cultured pearls have over natural pearls. Nonetheless, pearls can take several years to fully develop and are not harvested too quickly avoiding a compromise of the quality of the pearl nacre. South Sea pearls, and Tahitian pearls take between 2 and 3 years to form. Akoya pearls from Japan will usually take less time, at under 2 years.Freshwater pearls require the least amount of time, typically taking just 18 to 24 months.The longer a pearl is left to form, the larger and more beautiful it will likely be. Pearls are unique among gemstones. Pearls are the natural, organic products of living creatures, and they have different grading standards. The most commonly used and internationally recognized ranking system consists of B, A, A+, AA, AA+, and AAA to grade the pearls. On this scale, AAA is gem-quality, and the absolute highest quality pearl available. Six accepted factors determine the quality, value, and beauty of pearls. They are nacre, luster, surface, shape, color and size.These six factors are universally accepted as the main factors in grading a pearl. Pearl Nacre: Nacre is the natural substance that a mollusk like a mussel or oyster secretes to protect its sensitive flesh from irritants such as sand, shell fragments or implanted beads. This nacre is the same iridescent material that lines the inner surface of the oyster shells, aptly named mother-of-pearl. As a general rule, the thicker the nacre, the higher quality the pearl is. clearly on the surface of a good pearl. Pearls appearing too white, dull or chalky are not of high quality. 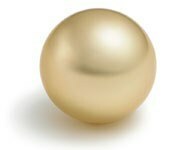 Grades of pearl luster are: Very High (AAA), High (AA & AA+), Medium (A & A+) and Soft (B). When reflections are bright and sharp, pearls are said to have high, or very high, luster. When the light reflections are weak or fuzzy, pearls are described as soft or dull. High luster pearls are obviously coveted as the luster plays a singnificant role in the beauty of a pearl. High luster can make up for sub-par size, shape, color and surface. Pearl Surface: A pearl’s surface is probably the most obvious and easiest to observe. The cleaner the surface of the pearl, the more valuable it is. Look for an absence of disfiguring spots, bumps, cracks, discolored portions, areas of low or uneven nacre appearance, or any other flaw on the surface of a pearl, also known as “cleanliness.” Notice that the highest quality pearls have a sharp, mirror-like reflection. The ideal good quality pearl is one that is free of imperfections. is, the rounder a pearl is, the better the quality, assuming all other factors are the same.A perfectly round pearl is very rare. Other shapes that are not symmetrical in shape, can be lustrous and appealing, and typically cost less than round pearls. To be considered round a pearl must have an almost perfect spheres whose diameter variation rate is less than 2%. A semi-round pearl has slightly imperfect spheres whose diameter variation rate is greater than a round’s 2%, but less than 5%. A semi-baroque pearl exhibits at least one axis of rotation (it can be spun on a table top) and are subdivided into four shapes: drop, button, pear and oval. A baroque pearl does not have any axis of rotation at all (cannot be spun on a table top). Pearl Color: Pearls come in a variety of colors, from white to black and every shade in between. The color of a pearl is a combination of two components; its predominant basic body color and its overtone, and it is important to distinguish between the two. The body color of a white pearl may appear in white,pink, cream, champagne, aqua, golden, green or black. An overtone is the color that overlies the body color resulting from the layers of the nacre, and may be seen under different angles of the light. Typical overtones are rose, pink or silver. Every pearl developed appears with a different color combination, which makes it truly unique from other pearls. Color itself is not the basis in grading pearls rather it is color intensity. 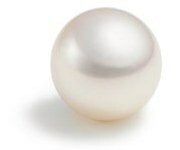 A good quality pearl possesses a deep and equal overtone while a bad one possesses the opposite. diameter of the pearl expressed in millimeters.Tiny seed pearls can be smaller than 1 mm, while South Sea pearls as large as 20 mm have been found.If all other quality factors are equal, the value of the pearl rises gradually with size.Round and off round pearls are measured by the shortest diameter. All pearls in other shapes are measured along two diameters (the longest and second longest). It is important to remember, that size alone however is not enough to tell the quality of the pearl. Tahitian pearls come from the warm waters of the South Seas and are grown in giant black-lipped oysters. Black Tahitian pearls are dark and large, typically 9mm – 16mm. They are very unique and expensive because of the complicated cultivation process. Specifically, the natural black color of the Tahitian pearl comes from the black-lipped variety of the pinctada maxima oyster, which reaches a foot or more in diameter, and produces very large pearls.The volcanic atolls of Tahiti, with their mixture of nutrient-rich ocean water and warm lagoons,create an ideal environment for the oyster. 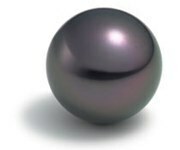 It is the only place where the Tahitian pearl can be found.Though traditionally called “black”, pearls range in color from metallic silver to the color of pencil graphite with gray, silver, green, blue or purple overtones. Tahitian pearls are slightly smaller than the South Sea pearl, on average, but larger than the Akoya. Akoya pearls are the classic white pearl and typically have the highest luster and greatest shine of all cultured pearls. Akoya pearls are the most popular pearl type. They are cultured in pearls from saltwater mollusks from Japan and China. Akoya pearls are popular for their luster and beauty. Typical Akoya pearls range from 5 mm to 11 mm, with the 10 and 11 mm sizes being rare. The most common size and the best value is between 7.0mm – 7.5mm with a sharp jump at anything 8.0mm and above. The Akoya pearl color ranges from cream, white, rose and gold to blue-gray in body color and typically have a rose, cream or Ivory overtone. Akoya pearls may also be treated to achieve a black body color. The Akoya pearl can look very similar to the round freshwater pearl, but compared side-by-side, the differences are obvious. 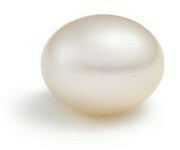 The Akoya pearl is generally larger, smoother, rounder and more lustrous than a freshwater pearl. The South Sea pearl comes from the white-lipped variety of the pinctada maxima oyster. Being considerably larger than the oysters that produce freshwater and Akoya pearls, this oyster produces a pearl that is much larger as well. The northern waters of Australia, and southeast Asia including Myanmar, the Philippines and Indonesia are the primary culturing areas for the South Sea pearl. Pearls are white/cream, golden or black with overtones of silver or gold. They are exceptionally large,smooth and round, averaging from 11 to 13 millimeters, but can be as large as 20 millimeters. South Sea pearls are also the most expensive pearl on the market, due to their rarity and thick nacre. Two reasons account for this: the rarity of a pearl of such size and high luster, and the difficulty of gathering acceptable quantities from these oysters due to their extreme sensitivity to the culturing process. It is the most rare and extraordinary pearl you will find in jewelry. because they are generally smaller and less symmetrical. An elaborate process harvests the pearl many times from a single resilient mussel, yielding several pearls at a time. Named after the lake in Japan where it was first developed, the freshwater pearl is sometimes called a biwa pearl, but now that name is reserved for cultured pearls from Lake Biwa. differences provide a major value for the price. Freshwater pearls come in various pastel shades of white, black, pink, peach, lavender, plum, purple,and tangerine, depending on the type of mussel. The typical size of freshwater pearls is 2mm – 16mm with 7mm – 8mm being the most common.